It took two weeks, but we were finally able to have him over, and spoil him a bit. He’s dancing for the State Street Ballet here in Santa Barbara, and will be touring with them once he returns from Chile at the end of September. So, I’m sure this is a long shot, but do you remember when the last World Cup soccer matches were in play and I tried baking a few breads from around the world? Silly, I know, but I adore silliness. Anyway, back then I found a workable recipe of a sweet anise bread (from Uruguay) and I’m thinking this might be a wonderful gift for a young dancer who says that he loves bread. 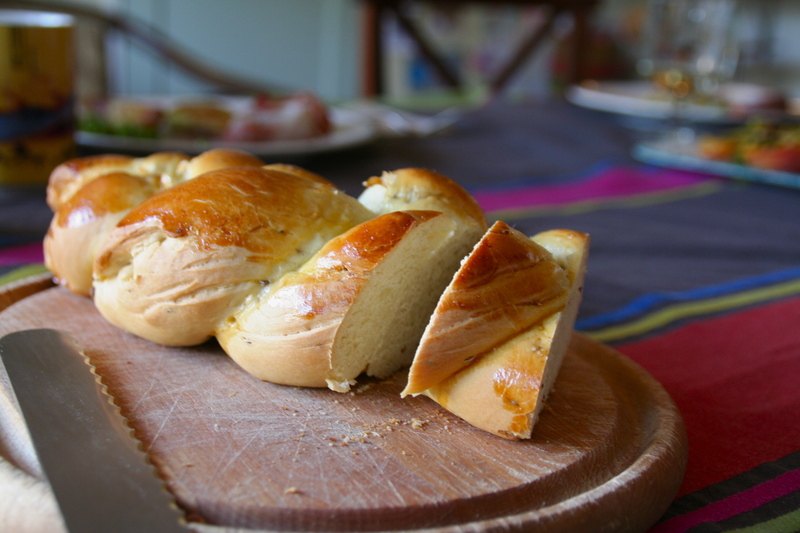 He pridefully announced that people in Chile eat more bread than any other South American country. I think this gives me free reign to spoil a starving dancer with at least one fresh loaf of bread. Anyway, he just left the States for the comfort of his home in Santiago. While he’s away, I’ve already practiced making this recipe once. Yum. See–already half eaten before I could get the camera out! We have three children heading in three different directions this fall. One off to college in Seattle, one tumbling into her sophomore year of high school, and the last just starting first grade–at a new school–actually at his very first school ever. Lots of changes. And I have two new jobs! An editing position, and a support role for my brothers and their business. Yes, summer’s end is here. Which probably means more regular baking. Gotta have bread for those pb&j’s. And that will mean more giving. Hurrah! One thing that won’t change as we transition into fall are my excursions to the beach! Did you know that I spend time at the beach every single week, sun or storm, rain or raging wind? 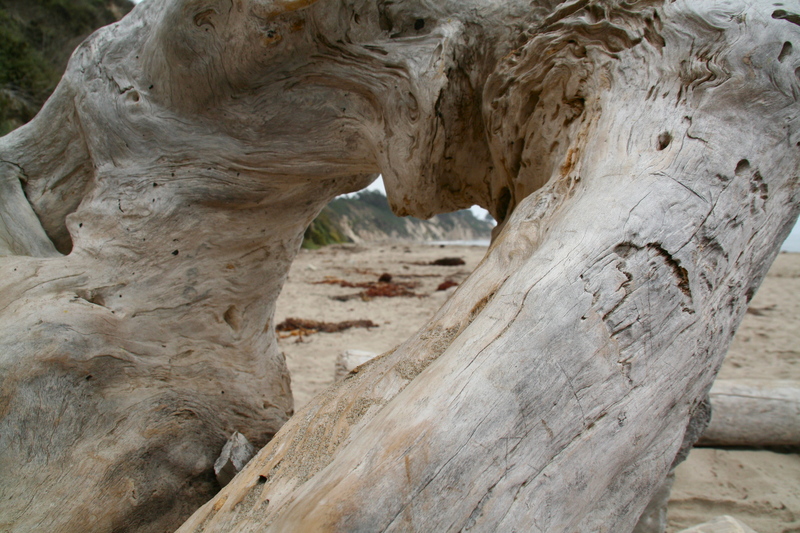 And here’s what I found at the beach this very day. A heart-framed view–a fitting reminder of how I’m trying to live my life–everything framed in love. I’ll miss you, but I am excited about this time of new beginnings. Thank you for all the gifts you’ve brought my way these last three months–the warm days, new friends, the plums, the evening barbecues. Oh, Lord, the author of Summer and the coming seasons, too… Help me to be a woman, who frames her days–every single one of them–in love. So, we braved our new neighbor’s front door again. While heading up the walk with our bread gift I reminded John Ronan (for he is my giving buddy as of late) that it’s a lot nicer to just ring the doorbell once and then wait. And if you think the doorbell isn’t really working, then you knock just once, and then wait again. And the sweet boy listened. After one ring the door flew open and in about two seconds flat we were invited in, introduced, and John Ronan was off to some play land, where I later was implored by one of the three little ones to help save a fish. John Ronan wanted to pet the fish. They are lovely, this family we’ve heard playing in the yard behind the hedge, and I’m tempted to scold myself for not getting over there earlier in the summer, but that’s just how things worked out this time around. At least we have this next month, before they move. Three playmates!!! About twenty-seven paces away. And a wonderful lawyer mama, who loves bread, who loves people, who loves our city so much she and her husband bought a house and are staying for good. So, your cheers worked wonderfully. Another loaf of bread that multiplied. A little food and hopefully love passed from my kitchen to anothers’–and in the exchange people connected, stories were told, and a fish was petted. 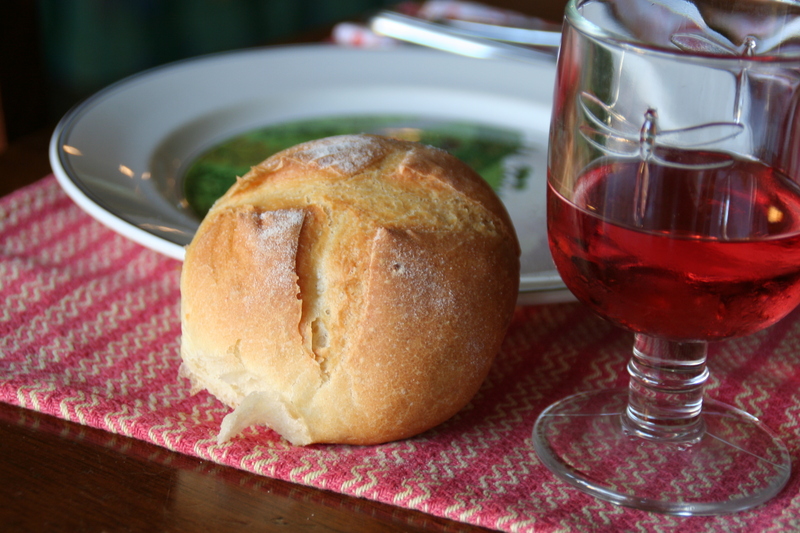 Rosemary rolls. One of my very favorite breads to make. Not only do I love the jaunt out into the garden, where I choose the best few branches to snip, but I inhale deeply over and over the smell of the chopped rosemary, which lingers in my kitchen. 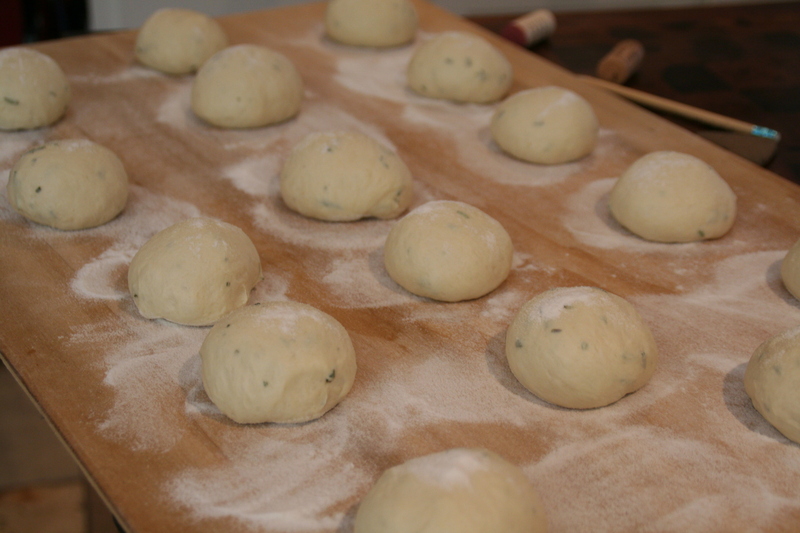 I mix the dough, let it rise, then dump it onto the green granite counter for shaping. One roll at a time I spin them across the surface and shape them into the sweetest little balls. I open the pantry, pull out the mason jar filled with rice flour and douse it all over that giant Finnish bread board my brothers gave me. What a gift, all of this is! The miracle of the yeast, the simple ingredients mixed and melding. I use rice flour in much of my baking. It’s the best dusting flour that I’ve found, to provide a barrier for non-sticking. Some people use corn meal, and others wheat flour, but rice flour has virtually no taste and bakes away beautifully. So I dust the board with rice flour–and I dust the tops of the rolls, too, to hold in moisture. I cover them with a towel and let them rise until the oven is hot, hot, hot. And when I’m done, I scrape the extra rice flour back into the mason jar to be used again. I found another use for rice flour a long while ago. This recipe for Dutch Crunch is amazing. Wonderful winter treats, full of flavor and good cheer. 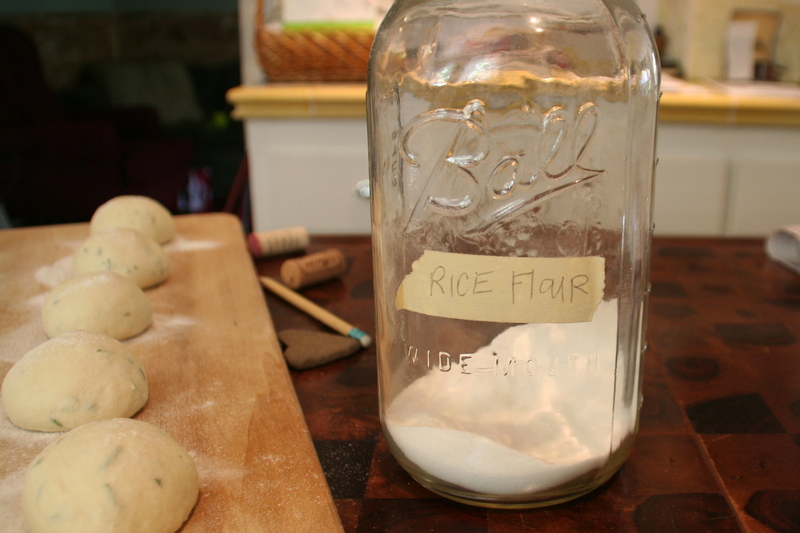 How do you use rice flour in your kitchen? I’d love to know. This has been the busiest summer on record for the Meyer Family. 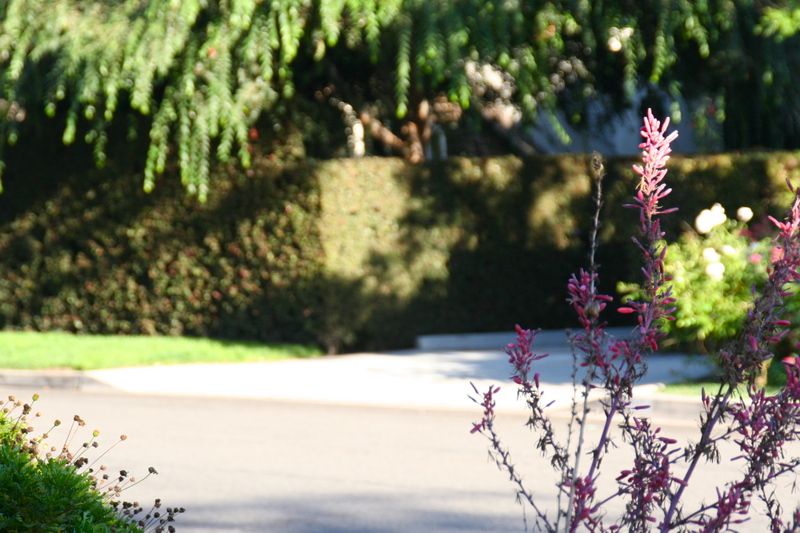 There are lots of reasons why: college classes but no driver’s license, music making, summer camp, an open door for visitors… So I suppose I have an excuse for not saying hello to the family who has moved into the house behind the hedge. For many years this house, after an expensive and lovely remodel, has stood empty. My big kids got a tour through it once, and that sold them–they fell in love with the place. It has a sweet, fairy tale feel, but the owners live elsewhere and all we saw for months and years were the gardeners. But squeals from the backyard, little folk riding scooters up and down the driveway, real people inhabiting the place?! After two months of squeals and inhabitants I finally made my way to their front door with a ring of rosemary rolls. But even with one car in the driveway and one on the street, no one answered. So, instead, I asked a woman who happened to be traveling down our road if she wanted the bread and she said, yes. So off drove my rosemary rolls with someone other than the intended. That happens in this business, doesn’t it?!!! Now that I’ve made one effort, I won’t be stopped. I’ll be baking again, and here’s to hoping that someone will come to the front door, that I’ll finally welcome our neighbors as I should have two months ago. Cheer me on, would you? So, if your brother tossed an enormous bag of bread into the front seat of your car, what would you do? We–pull out the bread knife. The Kids–eat all the chocolate bread in one fell swoop. I–make a lot of croutons. I–give some of it away. I–don’t do a whole lot of baking. Not for five days–maybe more. And now, the brothers are threatening me with a 50 pound bag of flour sent up on one of their bakery trucks. My answer?